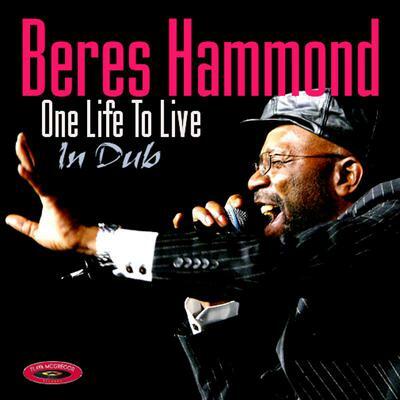 Beres Hammond released a dub version of his 2010 hit, "One Life To Live,"
Reggae legend Beres Hammond released a dub version of his 2010 hit, "One Life To Live," Tuesday, June 25, 2013 on iTunes. Hammond's new dub single was produced by Kemar "Flava" McGregor in connection with a series of newly-mixed renditions of McGregor's most renowned roots singles, recorded by the likes of Luciano, Gyptian, Etana, Bushman, Sizzla, Queen Ifrica, Capleton, Turbulence, I-Octane and Morgan Heritage. McGregor's new dubstyle version of "One Life To Live" is currently ranked as Beres Hammond's #1 download on iTunes. Born in Annotto Bay, Jamaica, Beres Hammond is considered the most beloved romantic reggae singer in the history of the music industry. Hammond has placed seven albums within the Billboard Top Ten Reggae Albums chart since 1994. He was nominated for a Grammy Award in the "Best Reggae Album" category in 2002, in connection with his 2001 studio album "Music Is Life." His most recent album "One Love, One Life," peaked at number one on the Billboard Reggae Albums chart in December 2012.